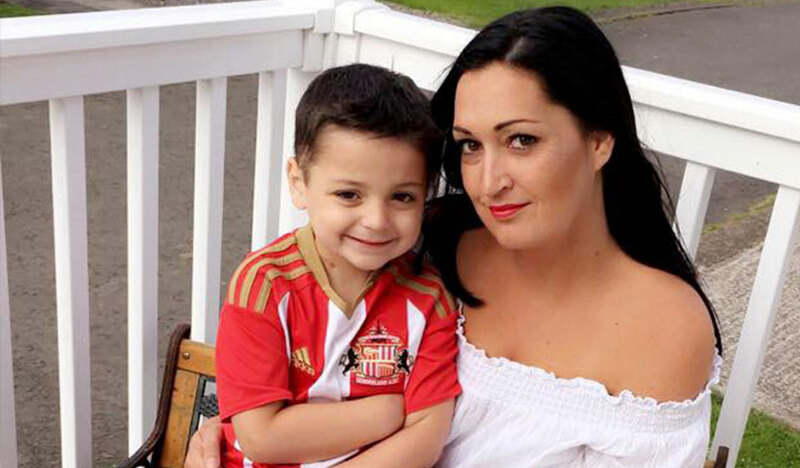 The mother of Bradley Lowery, who died of a rare cancer last year when he was six and captured the nation’s heart, has spoken about the importance of raising awareness of Rainbow Trust Children’s Charity, to help other families caring for a seriously ill child. Speaking at Rainbow Trust’s annual Staff Conference in London, and as the first anniversary of Bradley’s death approaches on 7 July, Gemma described how Rainbow Trust has helped to keep her son’s memory alive. Gemma explained how when Bradley was first diagnosed with a neuroblastoma at 18 months old, she did not think she would need any support outside of the family. “As life went on we were stuck in hospital trying to save our child so I took the offer of support from Rainbow Trust up,” she told the audience, which also comprised other families supported by the charity. The Lowery’s Family Support Worker, Monica, has supported the family for more than five years and still sees them regularly. “Monica was amazing,” Gemma said. “You should commend yourselves. Families like ours don’t have easy lives but Rainbow Trust makes life easier. Gemma also spoke of the new foundation that has been set up in Bradley’s name to help and support campaigns to raise funds for medical treatment and equipment not currently available on the NHS. Bradley was named Child of Courage at the Pride of North East Awards and he became a well-known face across the UK after becoming Sunderland’s mascot and close friend of England Striker Jermaine Defoe.